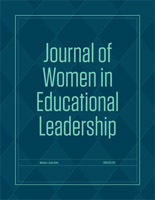 Journal of Women in Educational Leadership (July 2008) 6(3): 167-169. ISSN: 1541-6224. Copyright 2008, Pro>Active Publications. Used by permission. Abigail Adams's fame derives in large part from her marriage to the second President of the United States, John Adams (Freidel, 1989). However, she also had attributes of her own that made her an interesting and perennially famous woman in the history of the United States. One of her most enduring legacies is the volume of correspondence she wrote during lonely separations from her husband while he handled the nation's business and left her alone with four children. Firsthand accounts of the period leading up to, during, and following the American Revolution are available through those letters (Withey, 1981). Eventually her great-grandson, Henry Adams, continued the family tradition of writing about events in times of great change. Born in 1744, Abigail Adams lacked a formal education, but she more than made up for that shortcoming with her love of reading, especially literature, and her interest in politics and events surrounding the young colonies. John Adams was first attracted to Abigail Adams due to her ability to converse with him on any topic (Waldrup, 1989). An enduring friendship with Mercy Otis Warren, historian and playwright, was another outlet for Abigail to share her intellect and her concerns about women's issues. She spared no effort in ensuring one of her sons, John Quincy, was well educated and adequately prepared to become a future president, which he did in 1825. Abigail died in 1818 of typhoid fever, so she did not live to see John Quincy's election to the presidency.